Common standards must first be developed before blockchain technology can be adopted on a large scale. At EZYcount, we are excited by the potential for blockchain technology to disrupt accountancy for SMEs and save time and money that is currently spent on unnecessary services. By definition technological breakthroughs are exciting and encourage other people to experiment with possible variations of this new prototype. Although this has the positive side effect of innovation, it also leads to mass fragmentation of the new platforms as people create their own versions of the technology. This is essentially what has happened in the blockchain space over the last five years, Bitcoin may have been the first and remains the largest blockchain platform, however Ethereum, Ripple and Ardor to name a few have set new standards for smart contract use, settlement, and proof-of-stake application and are competing for mainstream use. In order to achieve this mainstream use, it’s important to establish a common ground where standard protocols and user technologies are agreed by developers. Historically creating common procedures for new technologies and concepts takes time, the banking tools and bond markets created in Renaissance Tuscany took centuries to evolve into agreed financial practices, likewise the HTML, SMTP protocols we use took decades for developers to agree and even then it was only because mass adoption of computers made it inevitable. For blockchain technology to enter the mainstream as quickly as possible, we should develop the common standards for mass adoption now, when it is easier to reconcile a smaller number of opinions and create ready-to-use blockchain products and services. In order to achieve this, all interested parties should have a forum to voice their opinions and build the foundations of the new blockchain ecosystem. Also it is not important for the end-user how things are done as long as they are done. It might be faster to have acceptance by hiding in the engine of the car the blockchain aspect. In addition to agreed technological standards and protocols, will be the need for agreed governance, interested parties will have to build a large, open source system that anyone can access, similar to the current financial system. The area of smart contracts will also create challenges for the current legal framework and infrastructure, obviously human brains will be needed to devise the initial contracts, however many standard procedures can be executed without human interactions between parties. One of the most important tasks in enabling the blockchain future will be to establish a common market fabric: the common underlying layer upon which everyone will build their own service offering. If we can do this, we can truly unlock blockchain’s potential to the benefit both the industry and our clients. For this to happen, we need to answer what capabilities at a systems level, outside of the development of blockchain technology proper, would the market most likely need in five years’ time in order to reap the full benefits of the blockchain? There are many components to answer this question, they include, building identity into the chain, public-key cryptography in theory offers all of the advantages of credentialed pseudonymity mentioned above, a hashtag and series of numbers isn’t the same as a solid name and ID number. It should be added this problem doesn’t just lie with the blockchain ecosystem, Wall Street and the City have always had trouble identifying all their customers. However the blockchain ecosystem connects a seemingly infinite number of decentralised entities, individuals, assets, and instruments together, and is composed of a complex web of internal systems, vendor systems, market wide systems, and so on. As a result, it is even harder to ascertain identities that current financial ecosystems. While we are able to deal with these today, it is an enormous challenge, and a costly one. To include identity into the blockchain ledger and make it part of the new market fabric, standardization will have to take place. That would allow not only to provision of credentialing for individuals, but also for all the parts of the system that will still need to talk to each other. If successful, such standardization of identifiers could drive massive efficiencies. How users value the chain will also determine its future success, blockchain has proven its ability to easily and securely transfer value for cryptocurrencies. However a blockchain-based financial system will not reach its full potential until it can transact in national currencies. At the moment, those using Bitcoin and other altcoins are dependent on exchanges to turn these currencies into legal tender in the real world. Mainstream currencies will need to enter the blockchain ecosystem, Central banks are beginning to talk about the possibility of creating reserves directly on the blockchain, potentially heralding the advent of cryptodollars and cryptopounds. Through blockchain reserve accounts at central banks, commercial banks may be able to do the same, however the existing system is very convoluted. Another key unsettled factor for a decentralised network is deciding who has the overarching authority, normally this lies with politicians and Central Banks, however the blockchain, as with any other large system needs rules. Given the disparate nature of blockchain, the rules which govern our existing system will likely not translate neatly, there’s a pressing need to create a new rulebook. As discussed earlier, on a technical level it means developing a single or at least a very reduced set of protocols. In the blockchain-enabled financial system we will see something similar. But there’s a pressing need to decide what kind of blockchain we will build, who will be able to access it, and how and when to update it? 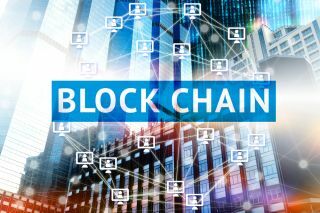 The factors mentioned above have all come about within the last five years as blockchain technology’s potential has been revealed. They have created a number of new legal questions that will need to be tackled, such as to what extent are smart contracts (or certain aspects of them) recognized as binding legal contracts, and will they need additional legal principles to govern them. All of these questions will need to be answered, however the lines of engagement and basic underlying framework for mass adoption have been outlined, it’s now for the participants to answer them in order to ensure its future is secured.